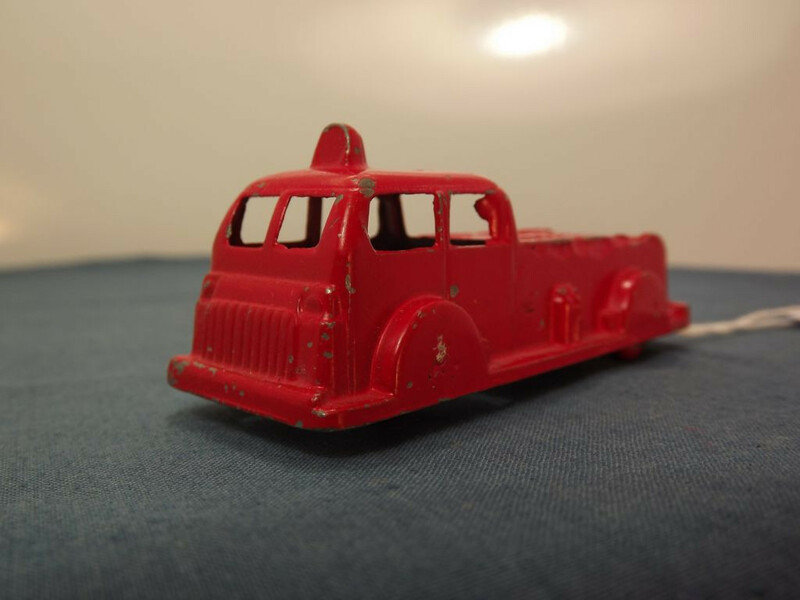 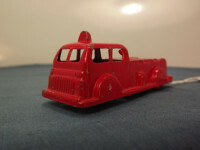 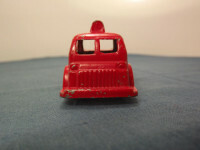 This is the Goodee La France Fire Pumper Truck issued in the mid 1950s in red. 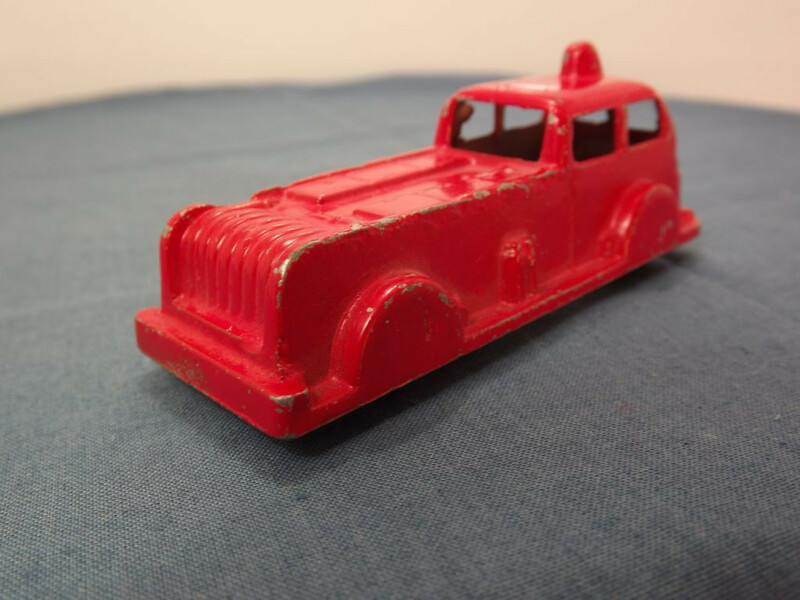 This version of the model is a one piece, crude casting based on a truck with simplistic detail such as bumpers, lights, body lines and trim, hose reels and fire extinguishers cast into the metal. 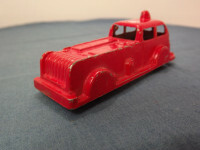 There is no glazing or base to the model. 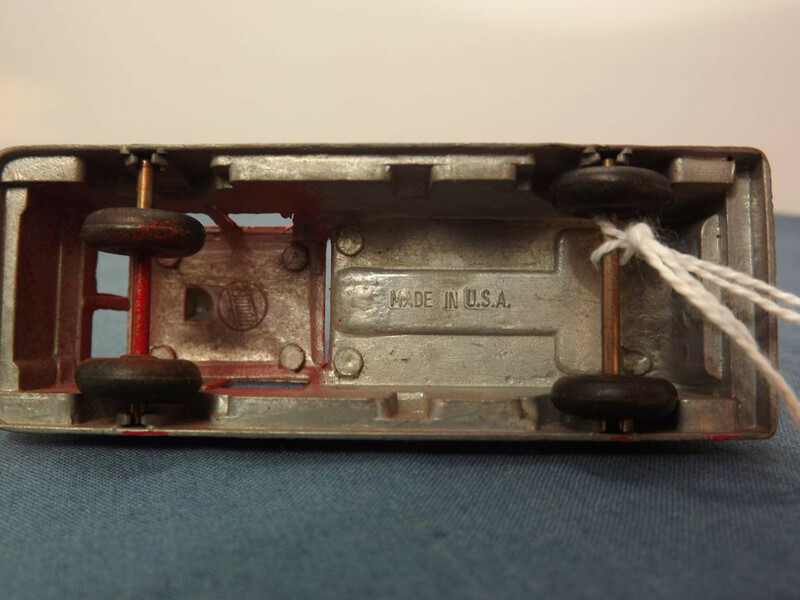 On the under-side the model carries the legend "Made in U.S.A" cast on one line under the rear body area and the "Goodee" trademark(?) 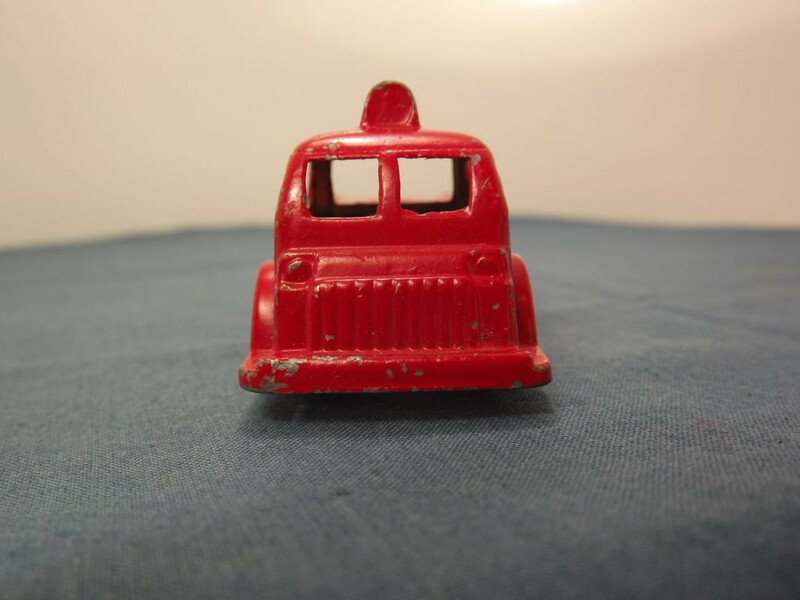 under the cab roof. 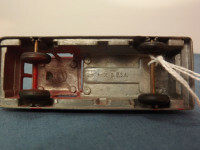 The flat end axles pass through the black, solid rubber wheels and are pinch-clamped to mounts on the body casting.